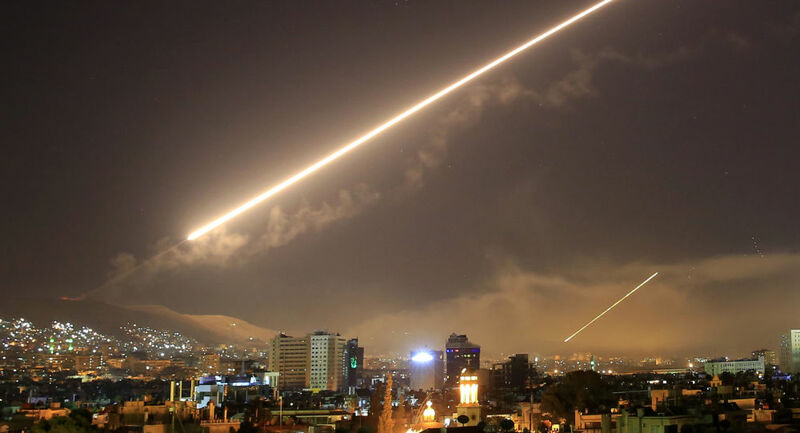 Israeli missiles would hit a weapons depot and a military post of Iranian special forces and Hezbollah on the outskirts of Damascus. The operation is a response to the launch of rockets (Iranian) from Syria to the Golan Heights. Yesterday deaths and injuries in two attacks on Damascus and Afrin. 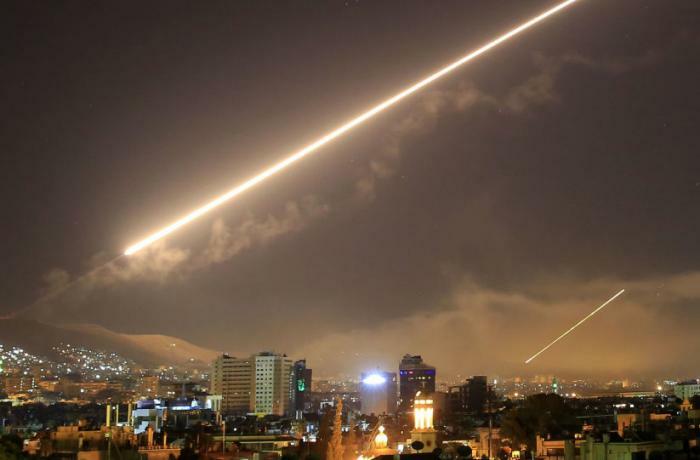 Damascus (AsiaNews / Agencies) - At least 11 dead and several wounded, is the toll from the latest air attack launched in the night by Israel on Iranian targets in Syria. Local sources report that the missiles would have destroyed a weapons depot and a military post on the outskirts of Damascus, belonging to Tehran and to the Lebanese pro-Shiite militias of Hezbollah. Syrian state media cite military sources, according to which Israel launched "an intense attack" characterized by "consecutive waves of guided missiles". However, Damascus' defense system "intercepted and destroyed" most of the "hostile targets". Eyewitnesses in the capital report heavy explosions and intense flashes in the night, lasting about an hour. The Israeli army confirmed - the aerial bombardment as is rarely the case for operations in Syria. The operation targeted "Iranian special forces Quds sites in Syria". These include weapons and ammunition depots and a site near Damascus International Airport, as well as an intelligence office and an Iranian training center. Senior Syrian army officials confirmed the attack, stating that "during the bombing" "dozens of [defensive] land-air missiles were launched ". The ayatollahs’ special forces in Damascus led the operations. According to the Syrian media "most" of the Israeli missiles with were intercepted and destroyed by the anti-aircraft defense system. The (new) Israeli airstrike - announced with a tweet this morning by the IDF Defense Forces – is in response to the offensive launched yesterday by Iranian Quds militias in Syria against the Golan Heights. The attack was rejected by the Israeli anti-missile defense system. Also yesterday, in Syria, there were two different attacks in Damascus (area controlled by the Syrian government) and Afrin, a city in the north-west, which was a year ago a Turkish military offensive against the Kurds. According to the official agency Sana, yesterday morning in the capital a "terrorist" would have operated an "explosive device" in the south, without making victims. Other sources speak of an "unspecified" number of dead and injured, in the "first attack for over a year". A few hours later there was a second attack on Afrin, controlled by pro-Turkish opposition militias. Three civilians died in the explosion, nine others were injured. The attack comes a year after the offensive launched by the Ankara army on the Kurds, a majority in the area and targeted by the Turkish president Recep Tayyip Erdogan.